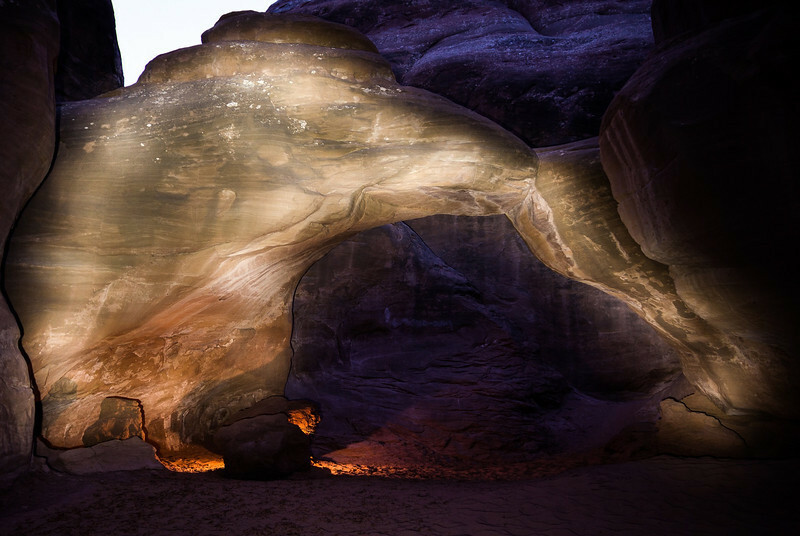 This arch needed precise light painting which made hot spots hard to avoid. This exposure was 30 seconds, ISO 200 at f5.6. Taking another longer exposure would have smoothed out the light, but I was running out of time. I really wanted to experiment with two static lights before full darkness.